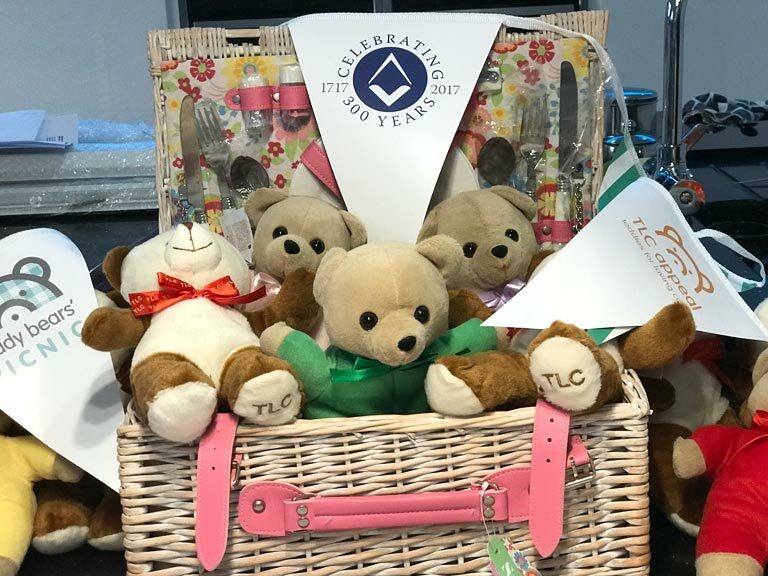 South Wales Freemasons recently held a Teddy Bear Picnic at St Lythans, near Wenvoe, to celebrate 300 years of Freemasonry and to raise funds for the Teddies for Loving Care (TLC) Appeal. The Teddies for Loving Care scheme has provided over 2 million teddies to children in A&E departments in hospitals across England & Wales. Supplied by Freemasons, the teddies are used to comfort children visiting hospitals and are used as a distraction or helpful show-and-tell. 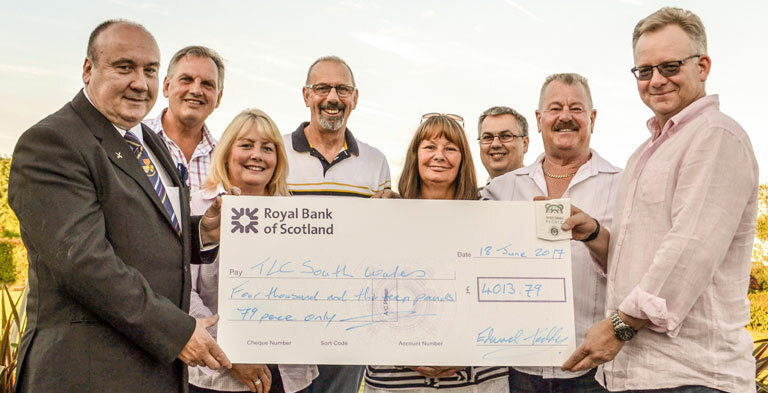 Over 3,000 distressed children and their families will be helped by the fantastic sum raised at the picnic event. The £4,000 will provide TLC Teddies to A&E Hospitals in South Wales, including Noah’s Ark Children’s Hospital. South Wales Freemasons aim to donate over 20,000 Teddies per year and the Teddy Bear Picnic is a major contribution. The planning for the event took several months, with a hard working committee driving things to put together a wonderful afternoon of entertainment. 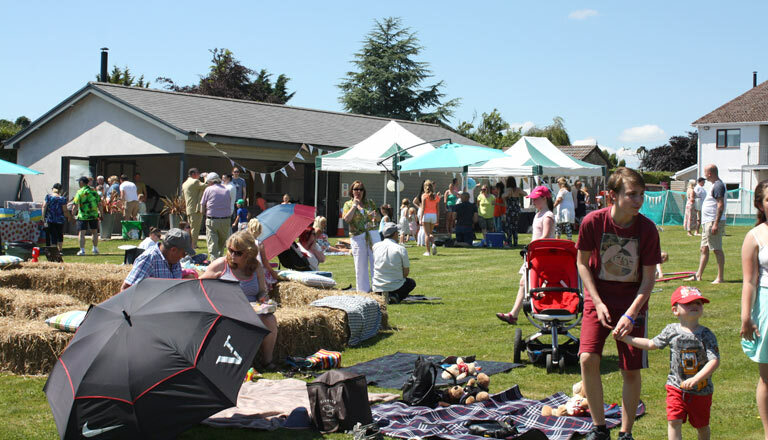 Glorious weather enabled the team of helpers to set up a Bouncy Castle, a straw maze, rubber duck floating competitions and various other stalls and amusements in readiness for the children, their teddies, and of course Mums & Dads, & Grandparents. As guests arrived, the heat of the day started to build but thankfully, Mr and Mrs Whippy came to the rescue. Earlier in the day, Mr and Mrs Whippy had hidden images of ice cream characters around the picnic site for children to find and trade for a free ice cream, get set go…. The children were off, laughing and screaming with joy, the heat of the day temporarily forgotten. As the day wore on, the heat increased, ice cream was eaten in ‘bucket loads’, burgers were flipped, sausages rolled, onions fried and buns filled with delicious relish, all hungrily consumed by parents and children, all washed down with an ice-cold water or soft drink. In-between, the ice cream and hot dogs, parents and children tried their hand on the various attractions around the picnic site including guess the name of the teddy, the number of gummie bears in a jar and the weight of the TLC cake. The Provincial Grand Master Gareth Jones OBE and his wife, children and grandchildren attended to act as judges of competitions and of course ice-creams! The day a success, it was time for the raffle and to declare the winners of the guessing games, best dressed teddy and teddies questionnaire. With kind & generous donations to the Teddy Bear’s Picnic, every child was awarded a runner up prize and left with smiles on their faces. A big thank you to everyone involved in organising this splendid event, in particular: Michelle Gonthier, Wendy Gaughan, Graham Gonthier, Ian Gaughan, Robert Salter, Peter Constantine and Event Chairman, Jason Agostini-Green. This entry was posted on Friday, July 28th, 2017 at 7:15 pm	and is filed under News, TLC.